Zandur sports flooring is available is available in a variety of materials, colors and formats to create a unique visual, offering superior performance, acoustics and comfort. All other colors are available upon request. The ultimate in comfort for sport and fitness application made with 60% cork and vulcanized rubber. An incrediebly durable and attractive sports flooring option available in tile and plank format. 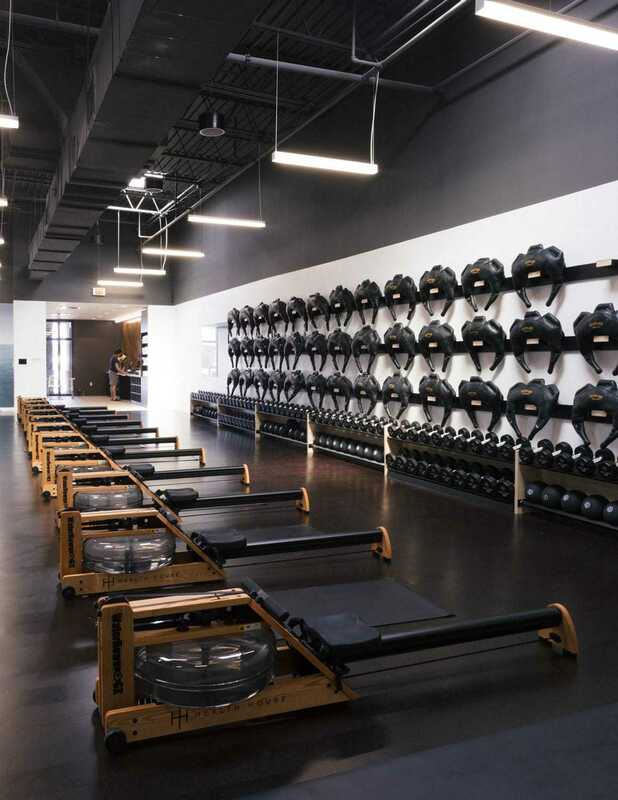 The ultimate flooring for yoga studios and other active areas where sustainability and comfort are a priority. Made from a blend of rubber and cork, Sustain Sport is the ultimate in sports flooring, providing exceptional underfoot comfort and superior acoustical properties to reduce sound transmission and echo. Compared to typical recycled rubber sports flooring, Sustain is odor free and features an impervious surface which prevents seepage of liquids or accumulation of dirt in the flooring. Constructed with a durable wear layer and cushion backing containing cork, Sustain offers high levels of comfort and high slip resistance. Sustain Sport 6.0 is available in 8 stock colors in tile and plank format and is best suited for moderate to heavy use sport and fitness applications. For extreme use applications use where heavy free or other high point loads are present, Sport 9.0 is available on special order. 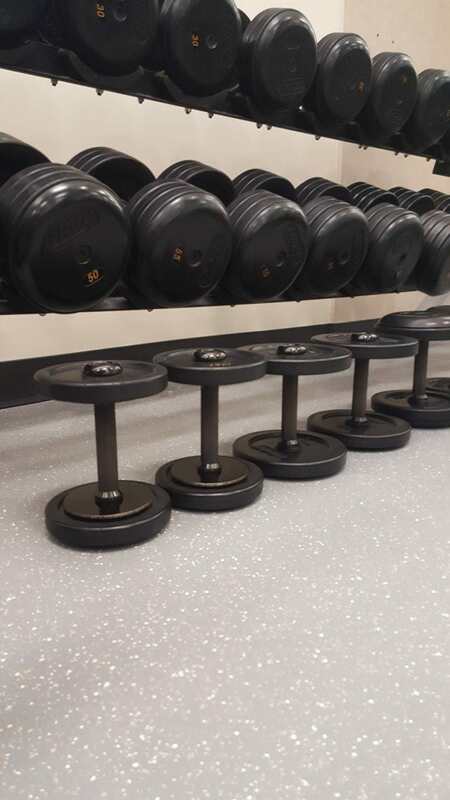 For additional comfort and a wider range of colors, Zandur’s Acoustisport system incorporates our standard 2.5mm Sustain rubber tile installed over an acoustical, resilient rubber underlayment sheet (3.0mm or 6.0mm thick) for a total thickness of 5.5mm or 8.5mm. Sustain Sport 6.0 – Use in all sport and fitness applications where underfoot comfort, acoustics and durability are desired. Suitable areas include gyms, locker rooms, physical therapy centers and walking tracks. Excellent point and rolling load resistance. Sustain Sport 9.0 – Use in extreme environments including areas where heavy free weights or other high point loads are present. The additional thickness provides superior durability and sub-floor protection as well as industry leading acoustics and underfoot comfort. Suitable areas include weight training gyms or areas where additional sub-floor isolation and protection are desired. Excellent point and rolling load resistance. Sustain Acoustisport 8.5mm – Use in sport and fitness applications where a floor with greater cushion and acoustics are required. Use where free weights are present or where floor exercises will occur. Sustain Acoustisport 5.5mm – An economical choice providing excellent comfort and acoustics perfect for areas with lighter use such as hotel and corporate gyms. Slip resistance exceeds UL and ADA recommendations, excellent acoustics, superior underfoot comfort. All due to the incredible properties of cork. Exceeds California IAQ (CHPS) indoor air quality. Impervious wear layer prevents accumulation of dirt of penetration of liquids. Cork is permanently fused into the product wear layer and will never walk-off. Shock Resist – All sport versions of Sustain cork rubber provide enhanced shock resistance protecting sub-floors from point shock loads thus reducing the possibility of damage due to dropping of heavy weights. HD – This special formulation is an excellent choice for areas subjected to heavy point loads including accidental dropping of free weights and heavy rolling loads. Minimum order applies for HD rubber. Drop off mats are still required to ensure optimal protection of the flooring and sub-floor system. An incrediebly durable and attractive commercial gym flooring product available in tile and plank format. Made from durable, solid rubber, Flex sport provides extreme durability, comfort and enhanced acoustics. Compared to typical recycled sports flooring, Flex is odor free and features an impervious surface which prevents seepage of liquids or accumulation of dirt in the flooring. Constructed with a durable wear layer and cushion backing, Flex meets the requirements for performance and comfort. Flex Sport 6.0 is available in 8 stock colors in tile and plank format and is best suited for moderate to heavy use sport and fitness applications. For extreme use applications use where heavy free or other high point loads are present, Sport 9.0 is available on special order. 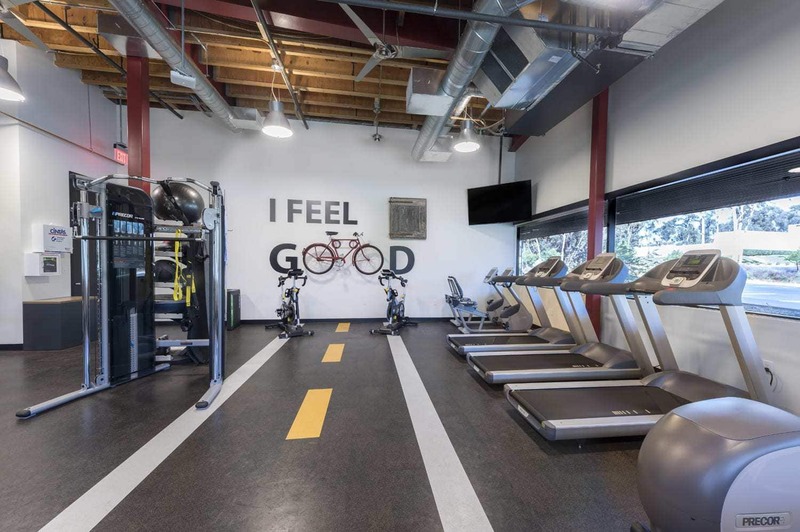 For additional comfort and a wider range of colors, Zandur’s Acoustisport system incorporates our standard 3.5mm Flex rubber tile installed over an acoustical, resilient rubber underlayment sheet (3.0mm or 6.0mm thick) for a total thickness of 6.5mm or 9.5mm. Flex Sport 6.0 – Use in all sport and fitness applications where underfoot comfort, acoustics and durability are desired. Suitable areas include gyms, locker rooms, physical therapy centers and walking tracks. Excellent point and rolling load resistance. Flex Sport 9.0 – Use in extreme environments including areas where heavy free weights or other high point loads are present. The additional thickness provides superior durability and sub-floor protection as well as industry leading acoustics and underfoot comfort. Suitable areas include weight training gyms or areas where additional sub-floor isolation and protection are desired. Excellent point and rolling load resistance. Flex Acoustisport 9.5mm – Use in sport and fitness applications where a floor with greater cushion and acoustics are required. Use where free weights are present or where floor exercises will occur. Flex Acoustisport 6.5mm – An economical choice providing excellent comfort and acoustics perfect for areas with lighter use such as hotel and corporate gyms. Made from SBR rubber, natural fillers and environmentally safe pigments. Incredibly durable. High point load resistance. Skate and Spike Resist: Specially designed to resist damage from skates and spiked shoes. Perfect for ice skating arenas, locker rooms and golf courses. It is well known that cork has incredible acoustics, underfoot comfort and sustainability. What is less known is that it is a perfect product for use in fitness areas such as light to moderate use gyms, yoga studios and other active areas. Due to the unique insulating properties of cork, it is an excellent choice in areas where floor contact is common as is feels warm to the touch. Zandur’s unique HD cork sports flooring products are constructed and proven to withstand the rigors of commercial use while offering a unique, natural visual for fitness applications. All HD products are through body construction so the pattern runs through the entire product thickness. It is available in tile and plank format in a range of naturally shaded patterns in 3/16” and 5/16” thickness. Praxis HD sports flooring products have excellent slip resistance, simple maintenance and are extremely durable. Praxis is naturally colored through the baking process and like most natural products is susceptible to fading from direct sunlight so it should be specified in areas not subjected to direct sunlight. Praxis patterns available in the HD version are indicated by ‘HD’ on the Praxis product line page. Praxis HD 3/16” – Use in light to moderate use gyms, yoga studios and areas where floor exercises are common. Praxis HD 5/16” – Suitable for the same applications as 3/16” HD. The additional thickness adds to underfoot comfort, acoustics and allows the product to be sanded and refinished. Made from 96% Renewable and Recycled Cork and polyurethane resin. Incredibly durable. Proven by numerous installations in high traffic environments in service after 50 years. Other sizes are available. Contact Zandur with your specific requirement.